New Zealand concluded their World Cup pool campaign in style Friday night, crushing Tonga 47-9 in front of a crowd of over 50,000 at St. James Park to comfortably top their group and set up a Cardiff quarter-final with either France or Ireland depending on the result of the two sides’ clash on Sunday. 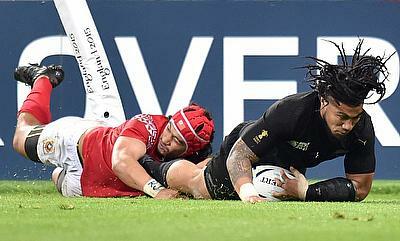 Despite resting captain Richie McCaw, the All Blacks, led out by Ma’a Nonu who celebrated winning his centennial cap with New Zealand’s seventh and final try of the night on 75 minutes, comfortably ran out victors over a combative, but ultimately out-gunned Tongan side, who finished their own World Cup campaign fourth in the pool. Nehe Milner-Skudder led a host of impressive individual Kiwi performances bagging himself two tries on the night with Ben Smith, Tony Woodcock, Sonny Bill Williams, Sam Cane also adding solo tallies for the top ranked side in the world. Following an intense pre-match ceremony that saw both Tonga’s and New Zealand’s respective ceremonial performances – the Sipi Tau and Haka - overlap much to the delight of the Geordie crowd, Fullback Smith opened the scoring for New Zealand on 12 minutes following some trademark Kiwi handling and off-loading to touch down in the right hand corner. Tonga proved to be a resilient foe however for much of the first-half, managing to stifle and pressure the All Blacks into a number of uncharacteristic mistakes before Kurt Morath punished New Zealand for an infringement, kicking over a penalty just after the game’s first quarter mark to bring the score to 7-3. And although Kiwi Loosehead Tony Woodcock crossed the whitewash from close-range after a very well-executed delayed pass from scrum-half Aaron Smith, Tonga refused to roll over, despite having already been knocked out of the tournament, by seemingly effortlessly turning the screw on the All Blacks at the scrum, pinning the All Blacks down in their own 22 at the end of the first half and forcing Kieran Read to be sent to the sin-bin following an infringement by the No.8 whilst defending a 5 metre scrum. In fact such was the Tongan dominance at scrum-time – a display which will certainly have raised alarm bells for All Black coach Steve Hansen and encouraged some of New Zealand’s potential foes in the upcoming knockout rounds – that Ikale Tahi can consider themselves hard-done by to not have received a penalty try following repeated reset scrums that eventually saw New Zealand manage to snake their way out of a potentially embarrassing spot. Unfortunately for Tonga that was as close as the Pacific Islanders were to come to threatening the New Zealand tryline for the rest of the game as a central theme of the World Cup continued in earnest; the second half saw New Zealand run dominant over an exhausted Tongan team. Although Monrath knocked over a second penalty to bring the score to 14-6 on 48 minutes, Milner-Skudder’s five-minute brace – both towering individual efforts either side of a third Monrath penalty – had effectively sealed off the game as a contest before the hour mark. Sonny Bill Williams, once again off the back of some incisive delayed passing from Aaron Smith, touched down under the posts to take the Kiwis past the 35 point mark before Richie McCaw’s theorised replacement-in-waiting Sam Cane once again converted for the All Blacks from short-range. 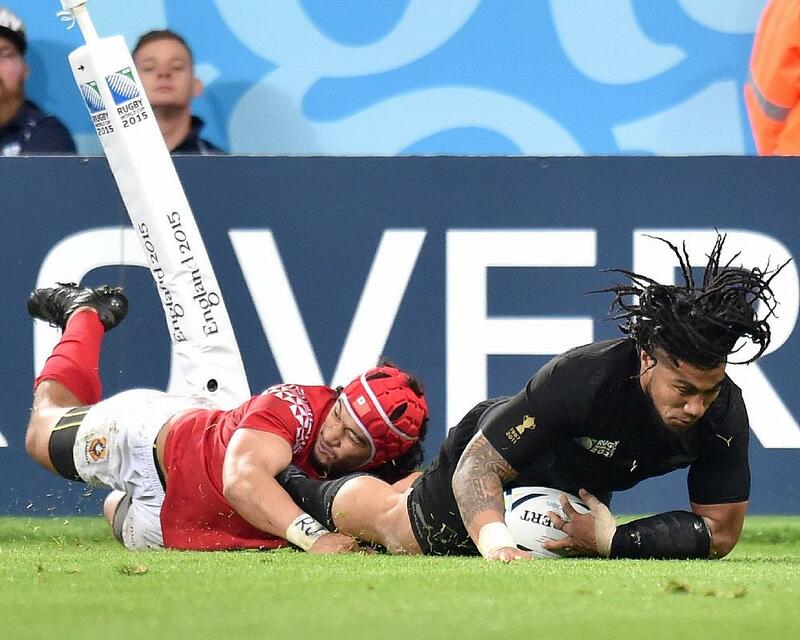 Ma’a Nonu concluded a perfect night for himself and his country on such an esteemed occasion with a diving finish in the left corner following more excellent build-up play from man-of-the-match Milner-Skudder. Despite Dan Carter ending the game with his first kicking miss of the night, it won’t have mattered one iota to the All Blacks who used their first visit to Newcastle in over 100 years to build up a thundering head of steam before the World Cup’s knockout stages which begin next week.